Hyderabad-based Zen Technologies inked a Memorandum of Understanding (MoU) with Rockwell Collins (RC), a leading American company specialising in Aviation Simulation and Training and Avionics products. The partnership will look to combine complementary strengths in Simulation and Training to build on Air and Ground Solutions for the Indian Military. “We want to help India develop its own capabilities. It’s not just technology transfers that we’re looking at but technology development. We want to work closely with the industry to ensure that they have easy access to innovative solutions,” said Jim Walker, Vice President and Managing Director, Asia Pacific, Rockwell Collins. Mr. Walker considered the Indian Defence and Aerospace Sectors to be promising and felt that the country would help expand Rockwell Collins’ foothold in the Asia-Pacific region, where it has registered a 15% annual compound growth rate. “We have to be cognizant of the Indian Defence Sector’s needs and will customise our products accordingly,” he added. The Government’s ‘Make-in-India’ campaign was resonant through the event and both firms felt the FDI ceiling hike to 49% for the Defence Sector from 26% was “a good start” and would strengthen bilateral defence partnerships in the coming years. “Rockwell has come here with the mindset of how they can help India have a self-sustaining way of getting solutions. While 49% allowance is a good start, the commitment from Rockwell was always there. The ‘Make in India’ must stress more on technology than just manufacturing,” said Ashok Atluri, Chairman and Managing Director, Zen Technologies Ltd.
“From a simulation perspective, I believe that the FDI hike will open up more technology transfers into India. We are comfortable with the 49% arrangement, that’s around what you need for a partnership and we are in it for the long-term. 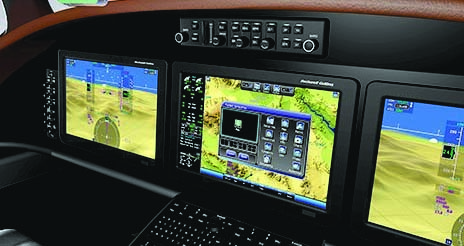 Some firms prefer ownership and building indigenously, but this works for us,” said LeAnn Ridgeway, Vice President and General Manager (Simulation and Training Solutions), Rockwell Collins. When asked what sort of synergies made the tie-up attractive, Ridgeway stated that the basis was laid by strong complementary capabilities. “You don’t want too much overlap in terms of synergies as you’re competing for the same space then. The beautiful thing about the partnership is the complementary skills. Our ground capability, with global infrastructure, can help us take Zen’s products and solutions to the global market,” she said, adding that the partnership will help Rockwell Collins extend its reach in the Indian Defence Market.